Sponsor a child now using the link below—and, WHILE SUPPLY LASTS, you will be given two post-show Compassion Meet & Greet passes, per sponsorship, for a special gathering exclusively for those sponsoring a child during this promotion. Your Compassion Meet & Greet passes do NOT give you access to the concert; tickets for the concert must be purchased separately through normal ticketing outlets. Again—while supply lasts—if you sponsor a child, you can receive two Compassion Meet & Greet passes to a post-concert gathering where you will hear more about the sponsorship experience and where you will have an opportunity to meet for KING & COUNTRY! To be clear, your passes are for the Compassion Meet & Greet with for KING & COUNTRY ONLY. You must purchase concert tickets through the appropriate ticket outlet for the show you want to attend in order to enter the building. For KING & COUNTRY’S hope is that this will encourage hundreds, even thousands, of people in their sponsorship experience and, in turn, help release children from poverty in Jesus’ name. Ready to get your passes? 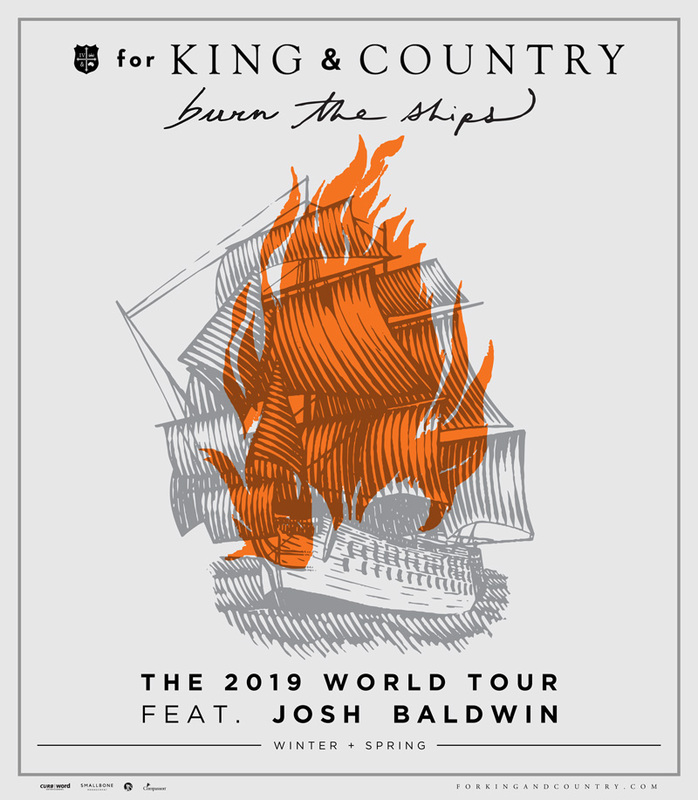 Sponsor a child today and join me for a Compassion Meet & Greet with for KING & COUNTRY on their 2019 world tour. Learn more about the sponsorship experience! Note: This offer does not include tickets. You must purchase event tickets separately. *Your Compassion Meet & Greet passes do NOT give you access to the concert; tickets for the concert must be purchased separately. × Please Confirm: I understand that these Compassion Meet and Greet passes are not concert tickets. Without concert tickets, Compassion Meet and Greet passes are null and void. It is my responsibility to purchase tickets to the concert separately through normal ticketing outlets.